Home Health Beta Carotene – What Is It All About? Being an antioxidant, beta carotene protects the body’s cells from damage caused by free radicals. Free radicals damage the cells by oxidizing them. If this damage is not stopped it can lead to a lot of chronic diseases over time. There is ample evidence that by consuming foods rich in antioxidants you can boost your immunity, lower the risk of cancer and heart disease and most importantly fight free radical damage. 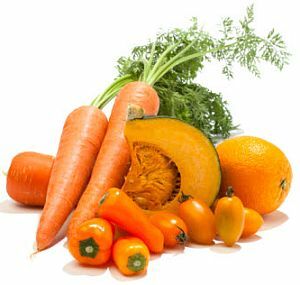 How beta-carotene is good in preventing and treating health conditions? Studies conducted on large groups of people suggest that people who eat more than 4 servings of fruits and veggies rich in beta-carotene may reduce the risk of cancer or heart disease. Foods that are orange or yellow in color are rich in beta carotene. They include carrots, peppers and squashes. On the contrary, some studies indicate that people who consume beta carotene supplements have higher chances of suffering with cancer and heart disease. Research scientists feel that this may be because all the nutrients you consume in a balanced and healthy diet offer more protection than just beta carotene supplements. According to certain studies, when smokers or people exposed to asbestos consume beta-carotene, their chance of getting lung cancer goes up. As per latest research, smokers should not consume supplements of beta-carotene. Studies have shown that people who suffer from a rare genetic condition that makes them painfully sensitive to the sun can be treated with beta-carotene. This requires complete medical supervision. A clinical trial showed that the progression of age related macular degeneration(related to the eye) can be slowed down by taking certain proportions of nutrients including beta-carotene. Metabolic syndrome is a group of symptoms and risks that increase the chances of diabetes and heart disease. In a study, it was found that people (middle aged men) who ate foods containing beta-carotene and lycopene were less likely to suffer from metabolic syndrome. Those men even had lower body fat and triglycerides. Generally speaking, all fruits and veggies with an intense colour have beta- carotene in them. The yellow, orange fruits and green leafy veggies like carrots, spinach, broccoli, sweet potatoes, tomatoes and cantaloupe are rich sources of beta carotene. Make sure to include these fruits and veggies in your diet. Though there is no RDA (Recommended Daily Allowance) of beta-carotene. Some doctors say that it should be between 10,000 IU and 83,000 IU per day. You should get most of it from the foods you consume. Eating fruits and veggies makes sure that you get sufficient amounts of beta-carotene along with other essential antioxidants and nutrients. Five or more servings of fruit and veggies in day can provide 3 to 6 mg of beta-carotene. If you are pregnant or a lactating mom, take supplements of beta carotene only when the doctor prescribes you. You shouldn’t do self-medication under any circumstances. It is safer to get your dose of beta-carotene from food. 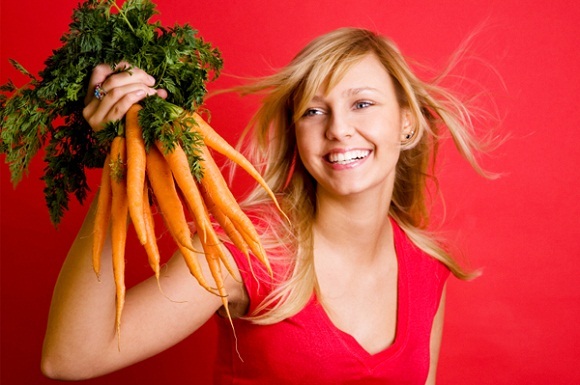 Was this post on Beta-Carotene useful? How To Handle Painful Periods When You Are In Office? Carrageenan: Is it safe for you? Tips To Make Waking Up Easier!